Hi Cake Friends! Recently I was browsing through Pinterest and I noticed my feed has begun filling up with Christmas related pictures... and I realized it's now time to start planning on what fancy desserts we will be serving over the holiday season! So as I was searching for inspiration I came across pictures of beautiful ornament wreaths! 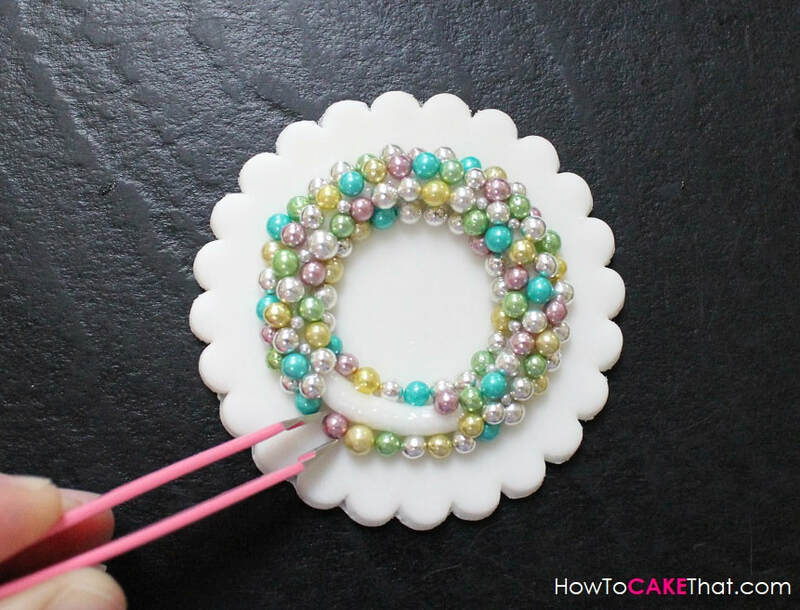 I have always loved the metallic shine and beautiful colors of these wreaths, and I wanted to figure out a way to create a dessert topper that would also have the gorgeous shine of the real ornament wreaths! 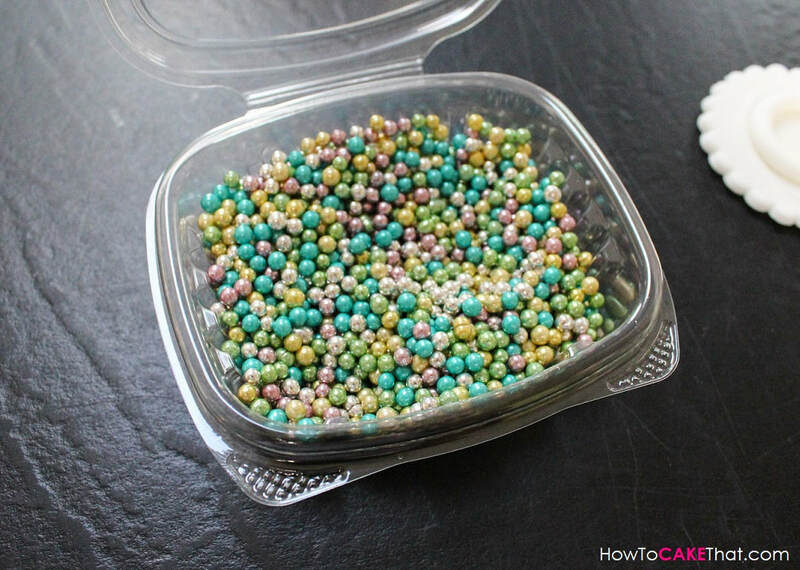 So on my recent visit to my cake supply shop I came across a container of multicolored metallic dragees!! These were perfect for making my vision come to life!! The lovely pastel colors remind me so much of the vintage ornaments I'd seen in my local antique shop! 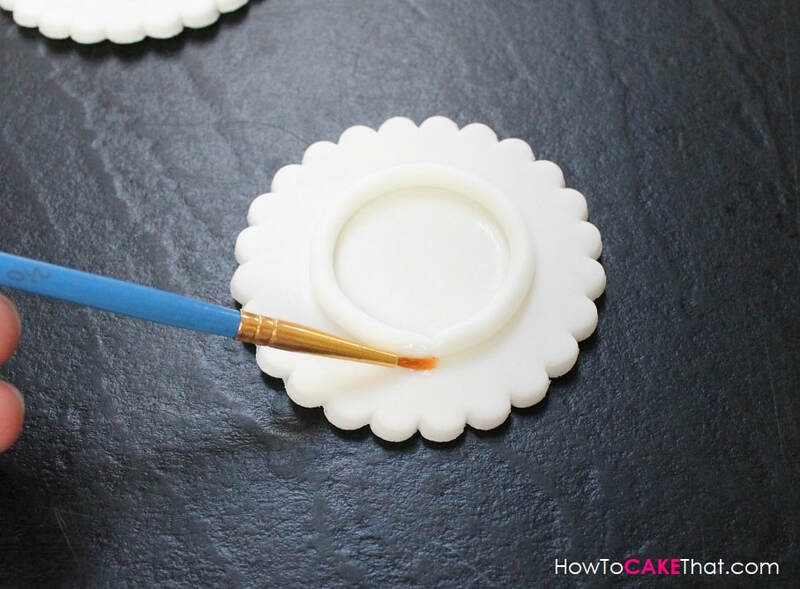 All I would need is a vintage aluminum table-top tree dressed in antique ornaments surrounded by cupcakes decorated with these toppers, and my Christmas dessert table would be complete! 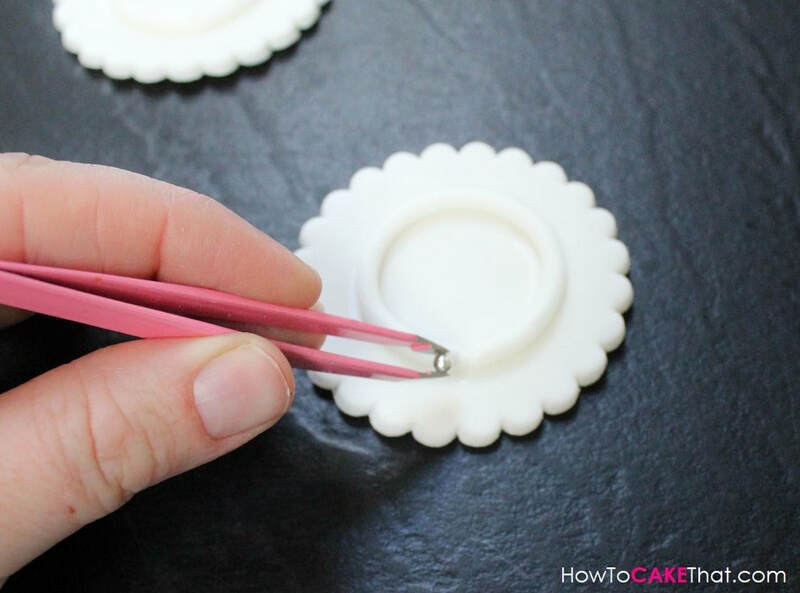 The first thing I did to make these toppers is I rolled out a blend of 2 parts fondant to 1 part gum paste. 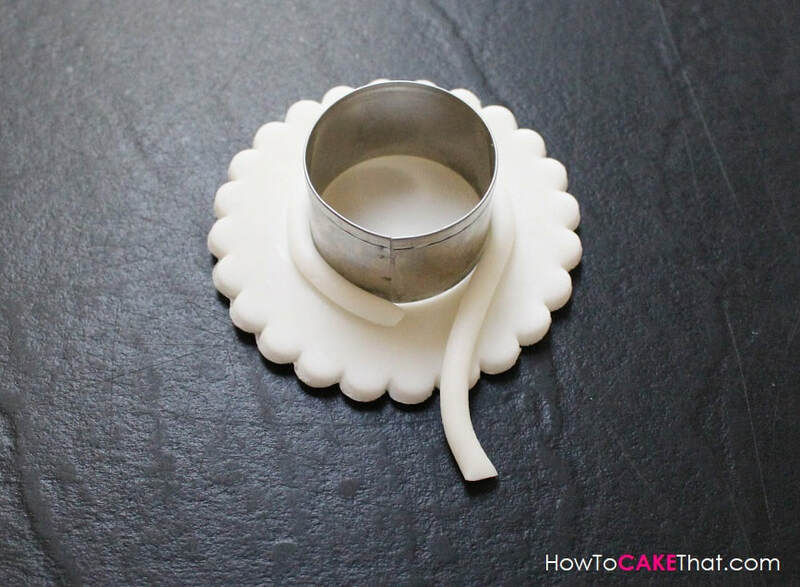 If you do not have gum paste, tylose powder can be added to fondant to help it dry firm. 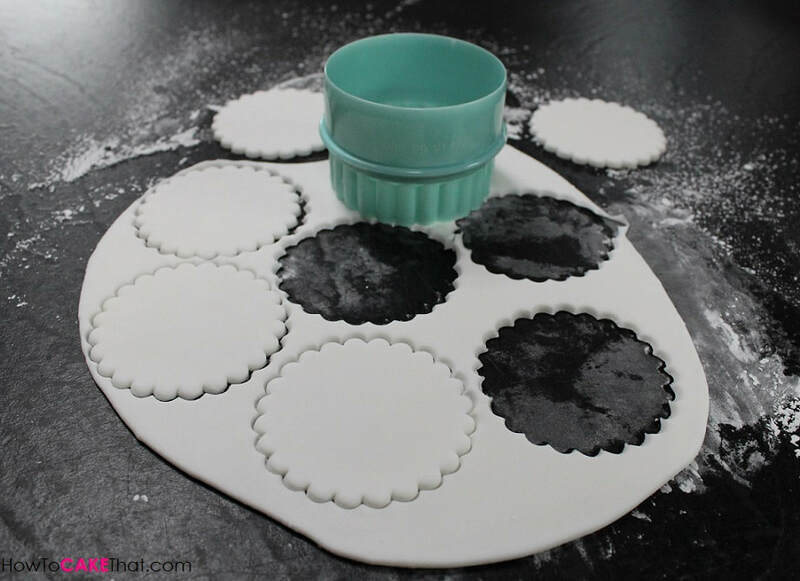 I used my Martha Stewart scalloped biscuit cutter (size 68 mm) to cut out enough toppers for my cupcakes. I let these toppers dry overnight so that they would be easier to work with. To make sure the wreaths ended up perfectly round I placed a small round cutter in the center of the topper. Then I brushed a very tiny bit of water just around the base of the cutter. 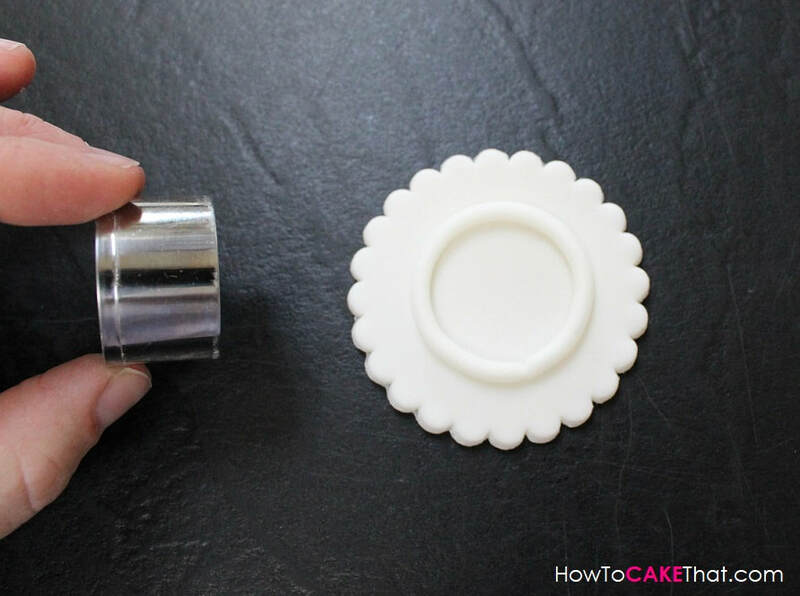 I placed a small round disk on my extruder and pressed fondant through. 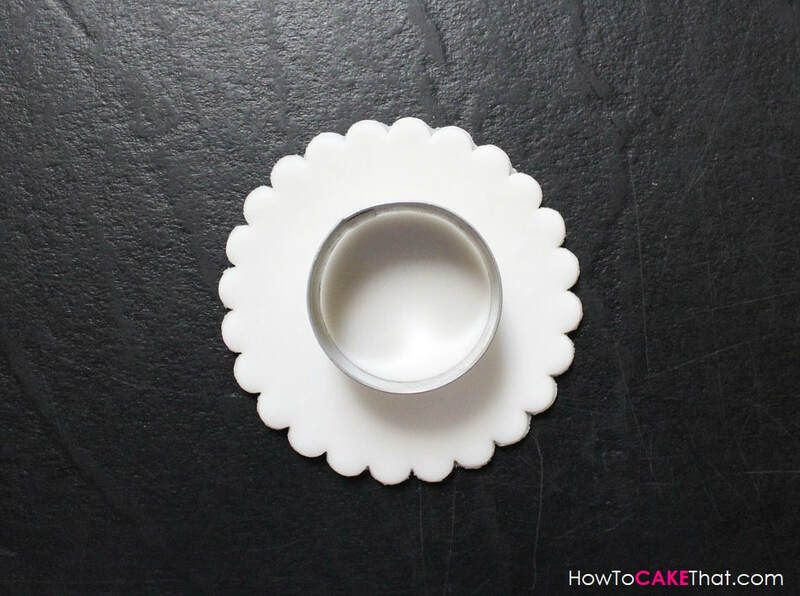 I trimmed the fondant to a length that could wrap all of the way around the round cutter. 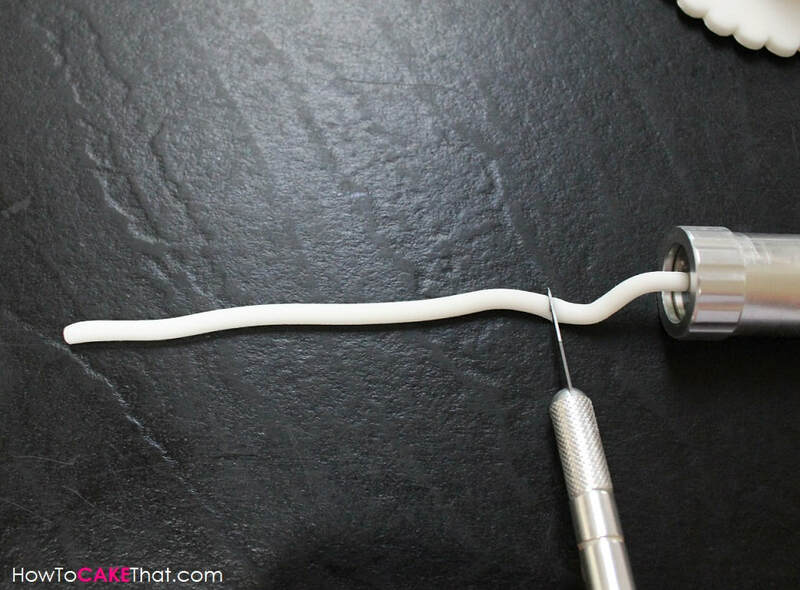 Then I picked up my fondant string and wrapped it around the base of the cutter. 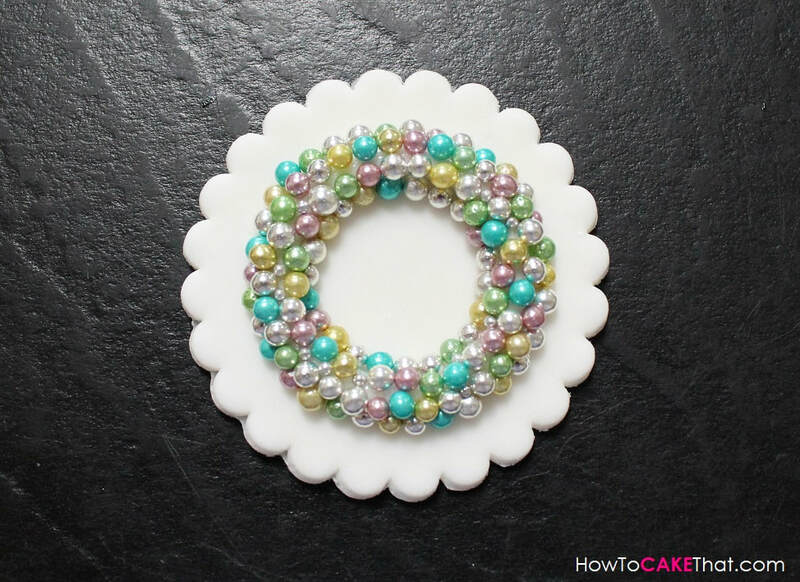 This fondant string will give the ornament wreath a nice 3D effect! 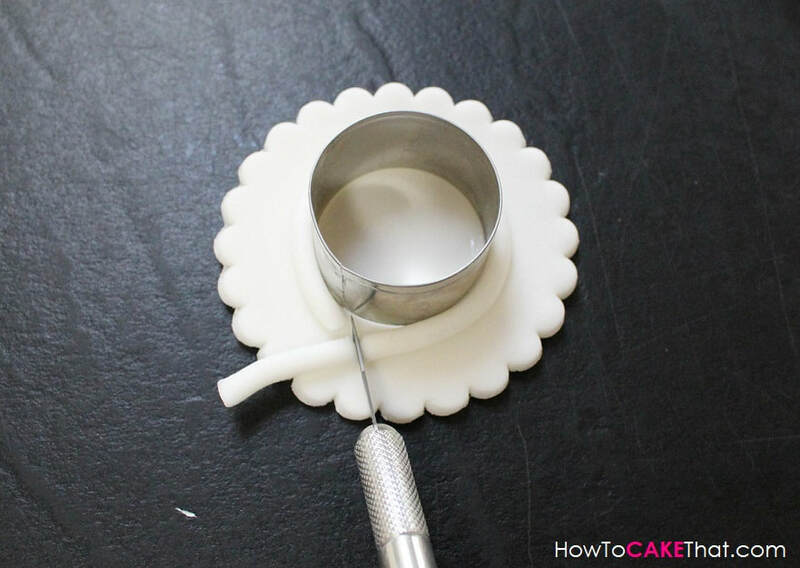 I used my Xacto knife to trim off the extra fondant. 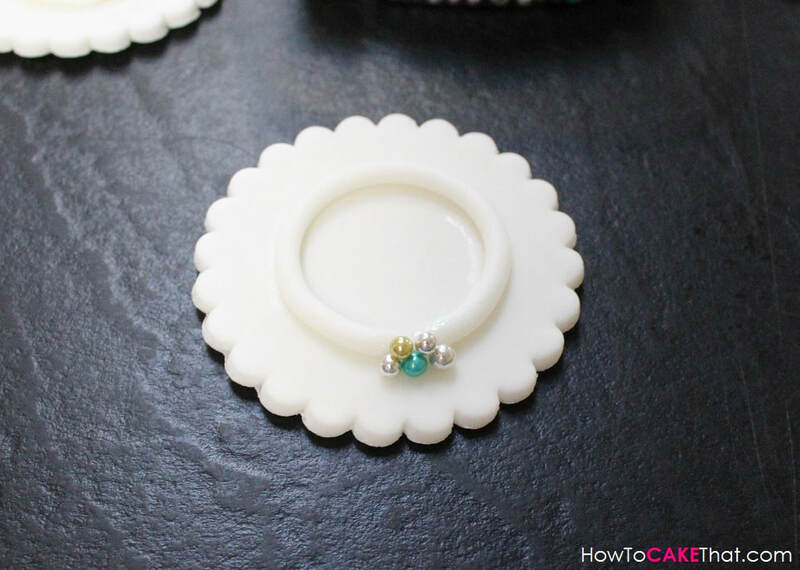 I pressed the ends of the fondant together to complete the circle, and then I removed the cutter. Here is the container of lovely colorful metallic dragees I found at the cake shop! Soooo pretty!! 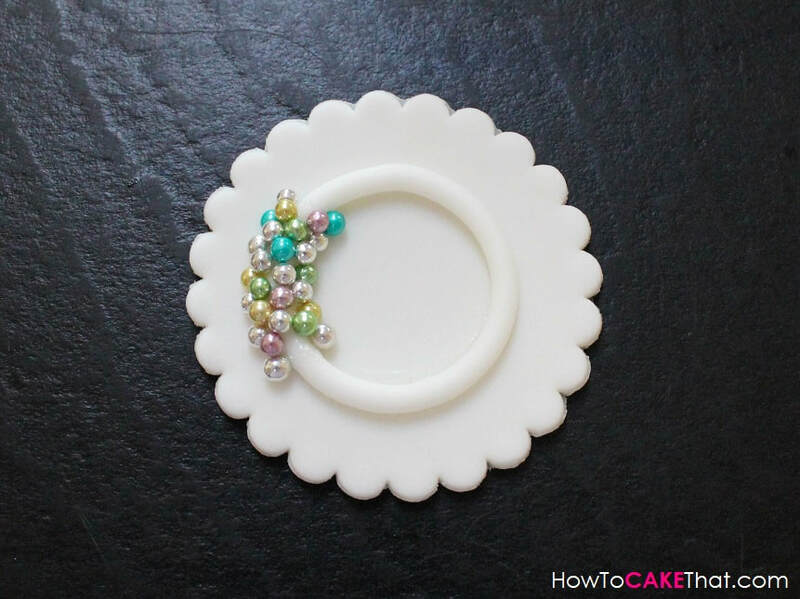 Carefully, one by one, I used tweezers to place each little dragee' onto the fondant ring. ... and then stacking them up. And work from the inside of the ring as well. 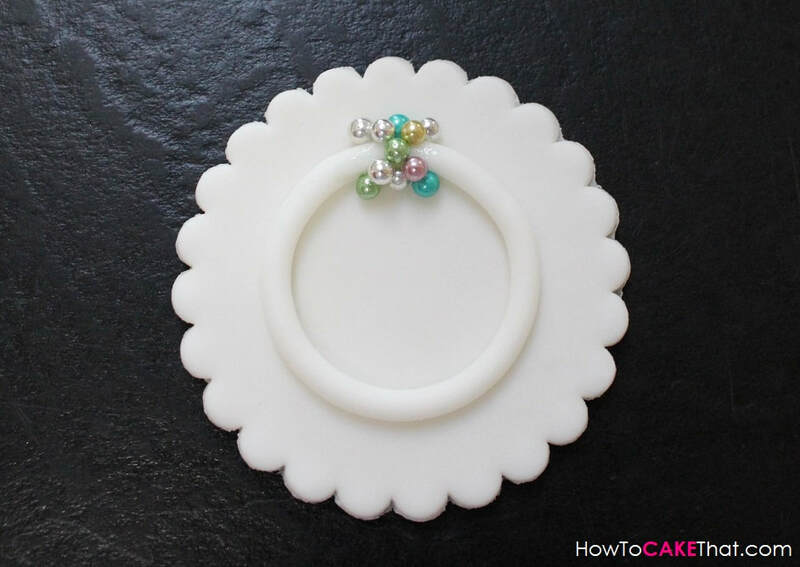 Be sure to be SUPER generous with the piping gel, if you're using it. As I was going along I found I had some large spaces between some of the dragees. 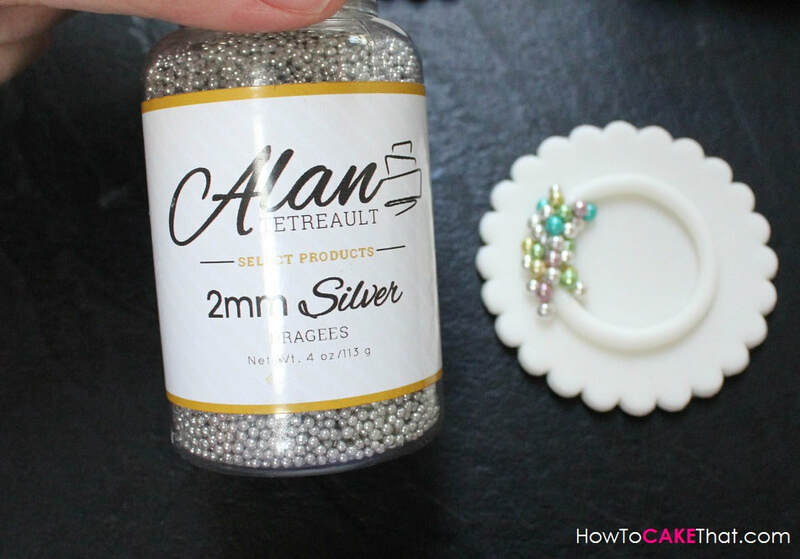 So I used these very tiny silver dragees to fill in the spaces. For the bows I used a little bow mold to shape the fondant. 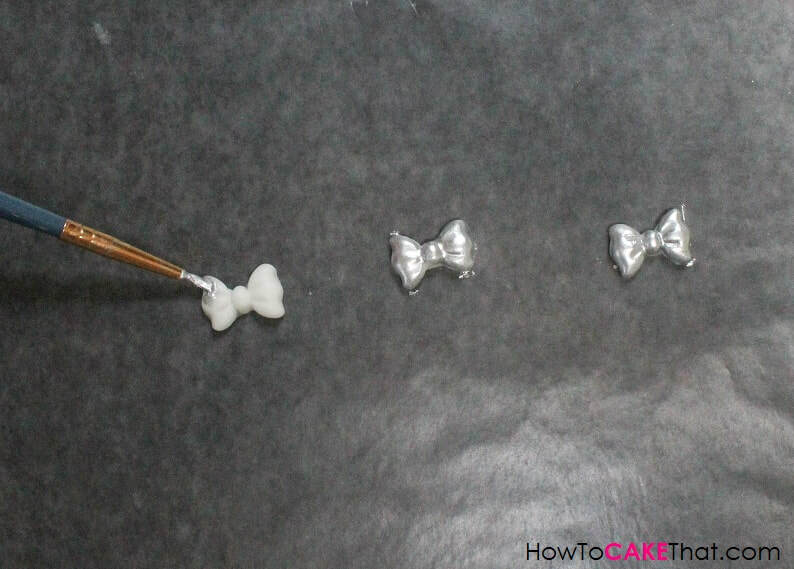 Then I mixed silver luster dust and vodka to create a silver paint and painted the bows. I let the bows and cupcake toppers sit overnight to allow the bows to dry and to allow the piping gel on the wreaths to dry. 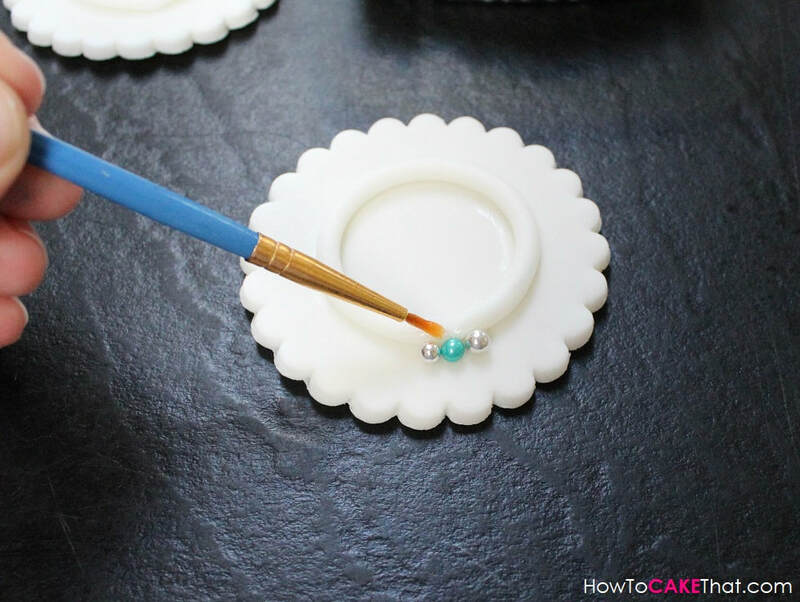 And that's how you make these fun Christmas Ornament Wreath cupcake toppers! 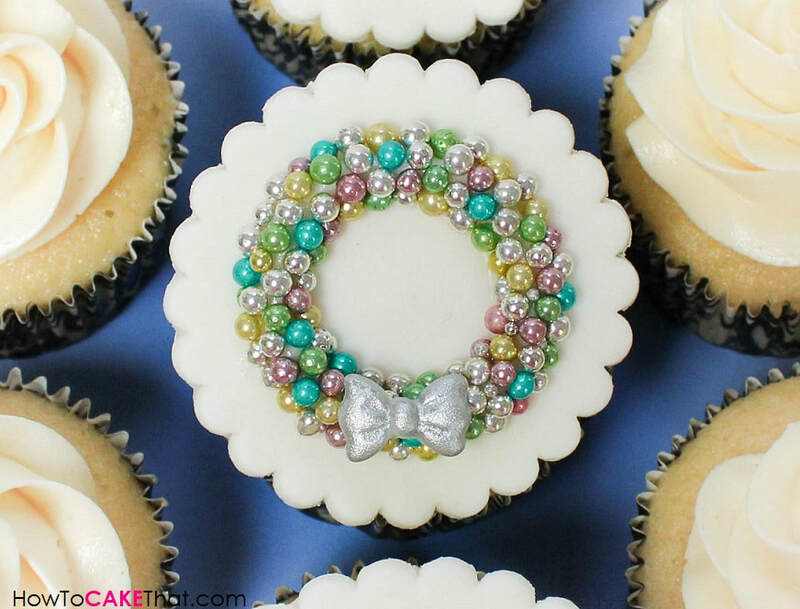 Be sure to wait until just before they are served to attach the topper to the cupcakes. 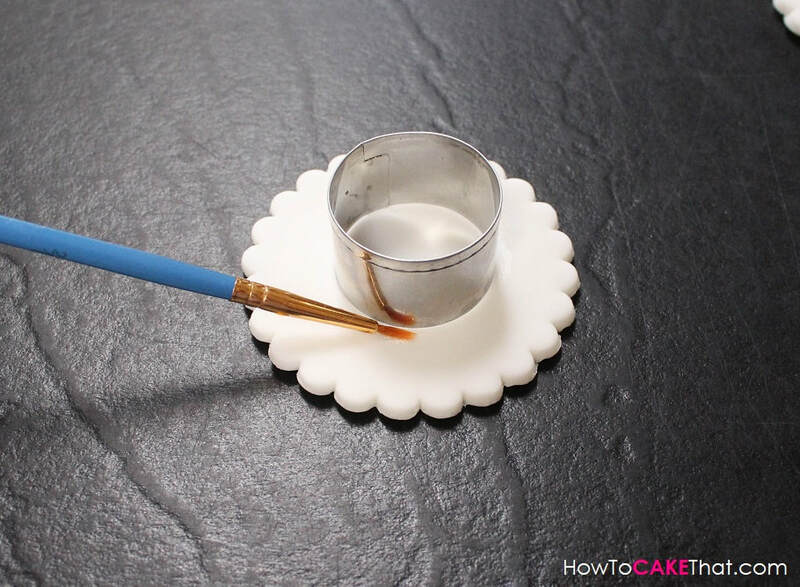 The moisture from the frosting on the cupcake will be absorbed by the topper and they could get soft after a few hours. And do not refrigerate them... the condensation that could build on them would ruin them.